View of “Peter Roehr,” 2018. From left: Film-Montagen I–III, 1965; Untitled (FO–52), 1965. Photo: Jeremy Lawson. A fascinating—and, at least as far as the conventional canon goes, mostly missing—link between Pop art and Minimalism, Peter Roehr’s work identified a vein of astringent poetry in the image world of an emergent global consumer culture. An exhibition at Ortuzar Projects provided a bracing overview of the five-year career of the German Conceptualist, who died of cancer in 1968, only weeks before his twenty-fourth birthday. 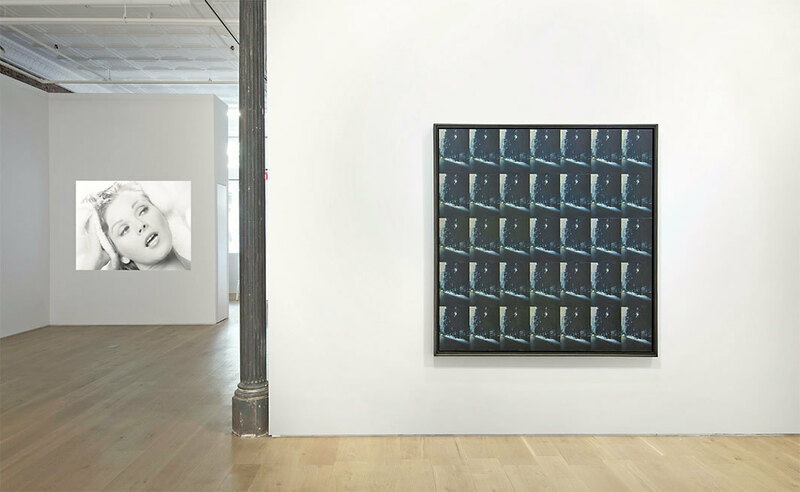 Focused on his rigorously ordered photomontages, and featuring a revelatory suite of film montages, the show presented a practice very much in dialogue with the dominant conceptual streams of the time. But while Donald Judd and Andy Warhol would seem to be inevitable figures against which to measure Roehr’s enterprise, the work’s anti-iconic attitude toward its subject matter and its rich visual dynamism mark it as an epigone of neither.